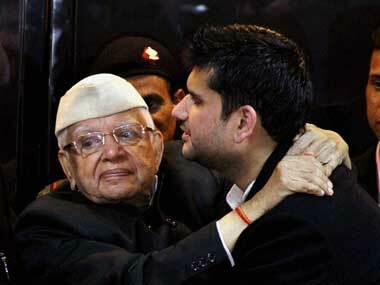 As Tiwari, along with his son Rohit Shekhar, is joining the BJP, his image of a comical self will get accentuated. Nothing sticks to people’s memory so strongly as the fall from grace of a political titan. And those who know Tiwari would testify that the brahmin of neechi (low) dhoti from Kumaon was indeed no inferior to tallest leaders of his times — VP Singh, Atal Behari Vajpayee, George Fernandes, PV Narasimha Rao and LK Advani. Much before the relatively younger generation leaders like Chandra Babu Naidu, Narendra Modi or Nitish Kumar championed the cause of development, ND Tiwari rightfully earned the epithet of “Vikas purus (development man).” In a sense, he was the original “development man” who pioneered path-breaking projects in UP and gave a push to economic growth. Take for instance, the concept of New Okhla Industrial development authority (Noida) was mooted and fructified during ND Tiwari’s tenure as the chief minister. Similarly industrial estates all around the state were established during his time to give fillip to medium and small-scale industries. At the governance level in his stints as chief minister of UP and later Uttrakhand, Tiwari’s track record as administrator was quite good if not outstanding. However there are certain outstanding facets of his life which are not known. Few know that ND Tiwari was the disciple of noted British political theorist and economist Harold Joseph Laski. Inspired by Laski's turbulent transition from Fabian socialism to Marxism, Tiwari found his own mooring in India — in Nehruvian socialism — and joined the Congress. He was liked by Jawaharlal Nehru and picked up by Indira Gandhi as trusted lieutenant. In Sanjay Gandhi’s time, he came across as a member of the cabal that ran the government. However Tiwari’s amiability and his credential as socialist leader always endeared him to tallest leader of the opposition. He was equally at ease with Vajpayee, VP Singh and leaders from the left spectrum. In 1989, when VP Singh staged a rebellion against Rajiv Gandhi and the VHP launched the Ram Mandir agitation, Tiwari was saddled with the most difficult task of running the UP government. And it was during his time that the laying of foundation for the Ayodhya temple took place much against wishes of Tiwari. In an interview, he once told me that he was made to facilitate the foundation-laying at the instance of Rajiv Gandhi and then home minister Buta Singh. At the time of Rajiv Gandhi’s assassination, Tiwari along PV Narasimha Rao was the biggest leader of the congress. Though Rao was selected as AICC chief, ND Tiwari was seen as a claimant for the prime ministership in the event of the congress’ victory. Tiwari was contesting assembly as well as Lok Sabha seat. When the results came, he found himself on the wrong side of the destiny as he lost Lok Sabha seat from Nainital and won the assembly seat. Rao emerged as a clear winner and outfoxed Tiwari to assume the leadership role. As he walked into the BJP’s headquarter to show his allegiance with the party in order to secure ticket for his son Rohit Shekhar, Tiwari looks like a figure of tragic-comedy, walking always on the wrong side of history towards the fag end of his life. He looks like a helpless figure pulled by vested interests for personal gains. Tiwari’s past is illustrious. His present and future is not only ridiculous but also ignominious. In recent context, ND Tiwari’s relevance is as much a commentary on politics as on tendency of the political class to exploit infirmities and vulnerabilities of an old man not in control of himself. 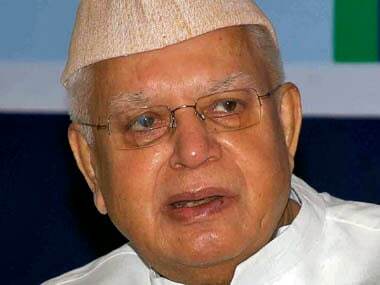 The sight of ND Tiwari today is really pity.